233 thread-count cotton cover, 20" x 28" new. 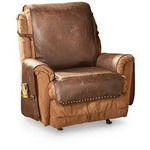 Pair of Faux Leather Recliner Cover, brushed polyester fabric, 1" memory foam seat cushion, non-slip gripper back, 3 side storage pockets, 7" longer arm coverage, like new. 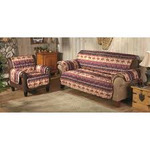 Lot of 3 Castlecreek Northwoods Furniture Covers, one sofa, two recliner, not inspected. 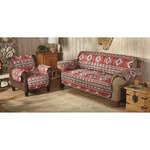 Castlecreek Sierra Furniture Covers, sofa, love seat and Castlecreek Northwoods recliner cover, not inspected. Castlecreek Sierra Furniture Covers, love seat, and Faux Leather Recliner Cover, not inspected.